© law.com, author Tresa Baldas. Legislation that would give federal workers paid family medical leave has the private sector on edge, with Corporate America fearing, "we're probably next." The Federal Employees Paid Parental Leave Act, which would give more than 600,000 federal workers four weeks of paid family leave to care for a newborn or adopted child, cleared a House subcommittee last week. The bill also would let federal workers use up to eight weeks of accrued paid sick time or annual leave immediately following the first four weeks of parental leave. A similar bill has been introduced in the Senate. 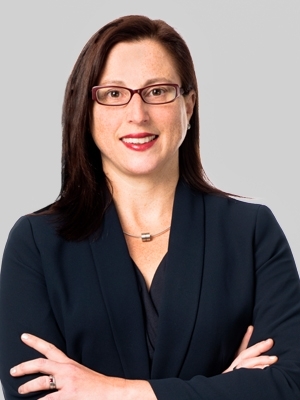 Nice idea, bad timing, says Fox Rothschild partner Catherine Barbieri, who suspects the federal legislation could be a sign of what's to come for the private sector: mandatory paid Family and Medical Leave Act leave. "Will it set the tone for private companies? Maybe, but there are a lot of private employers that are struggling right now, and to impose funded mandates on them -- I just don't think it's the right time," said Barbieri, who runs a blog on FMLA matters. Barbieri noted that the FMLA, which provides employees up to 12 weeks of unpaid leave to care for sick family members, has long been a source of frustration for employers, particularly in the area of intermittent leave. Mandating that the leave be paid would only make matters worse, she said, particularly for smaller companies that are struggling to survive. She also noted that many large, private employers already provide six to eight weeks of paid maternity leave. Please visit http://www.law.com/jsp/ihc/PubArticleIHC.jsp?id=1202429584134 to read the entire article.